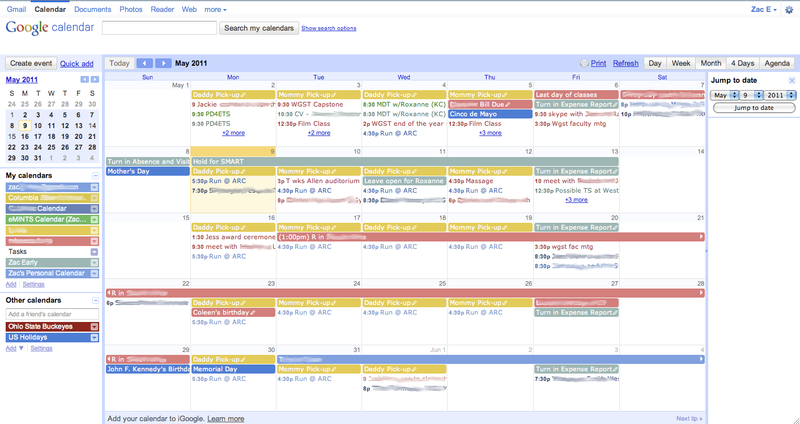 It was recently announced that Google Calendar has added color coding for events. Now, you can code certain kinds of events with particular colors. This is just one of many ways Google Calendar (a free tool) makes it easier to organize your life personally and professionally. There is a sharing feature on GC that allows you to keep a calendar with one person or even a group of people. You may even decide to make a calendar public so that anyone can see it. 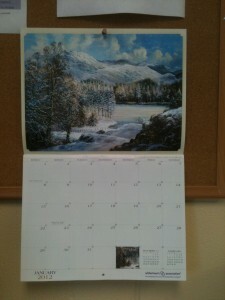 Embedding is available so that you can display your calendar on any website the utilizes html code. 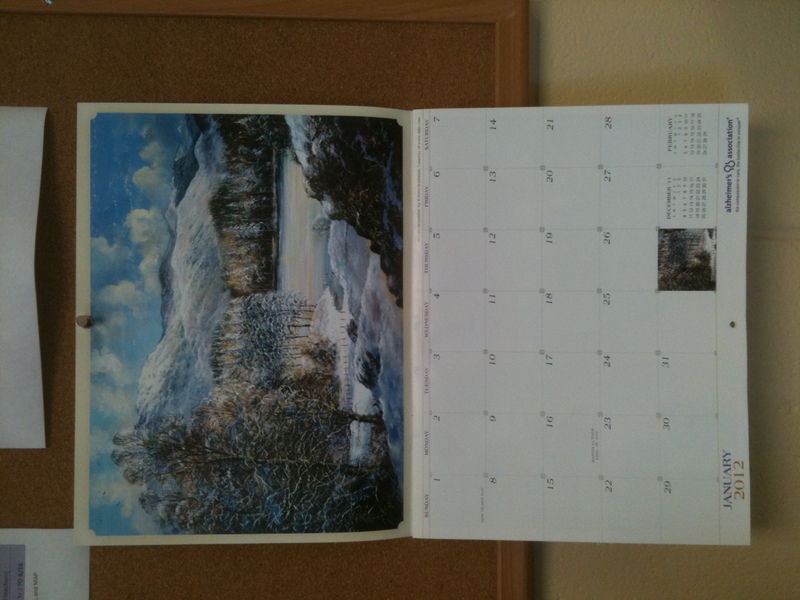 I have posted calendars on blogs and in Moodle portals as well as helped teachers insert them into their class websites. With so many electronic devices at our disposal, it’s good to know that one can sync a Google Calendar with any computer using Microsoft Outlook or Apple iCal. Plus, there are apps for accessing GC from your smart phone. One can maintain multiple calendars on a single Google account. So, if you want to keep two separate calendars for school and home, it is possible to that and more. For those who need an agenda that doesn’t necessarily come in calendar form, GC features an agenda view that lists the events for your day or week ahead. Additionally, you may set up a calendar to email your daily agenda when you’re on the move. Among the many great add-ons available in Google Labs, GC has a “jump to date” tool which allows users the ability to simply go directly to a date instead of scrolling or searching through calendars. Desktop or mobile notifications can be set up to provide reminders just before an event so that you don’t lose track of time. For those who work best with lists, GC provides a to do list tool that can keep you on task. Often, a meeting or other event requires a certain spreadsheet, document, presentation, etc. With GC, you can attach documents to an event with ease. Either by simply uploading a file or connecting to a Google Doc, this feature makes it simple to come prepared. Do you use Google Calendar? What are some different features that make Google Calendar a useful tool for you? A “preflection” is a reflection one writes for one’s future self. Delyn suggested that after a year of professional development training, it would be interesting to have teachers reflect on all their accomplishments over the year. He suggested using an online tool such as Google Calendar or FutureMe.org to send a message containing one’s preflection. The preflection is a sneaky way of getting teachers to set goals for the coming year. The online tools insure that the teachers are able to revisit these goals in a year. The same can be done for students at any point in a school year. Google Calendar could work, but FutureMe sometimes contains some adult content. So, be aware. You can always have your students write their preflections the old-fashioned way as a letter on paper and put them away to be opened at a later date. What other possibilities do you see for preflections? Are there other online tools that could help in sending preflections?